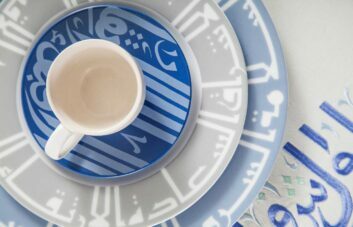 Begin with selecting your dinner plates; we love Silsal’s Kufic Plates, as they are super versatile. 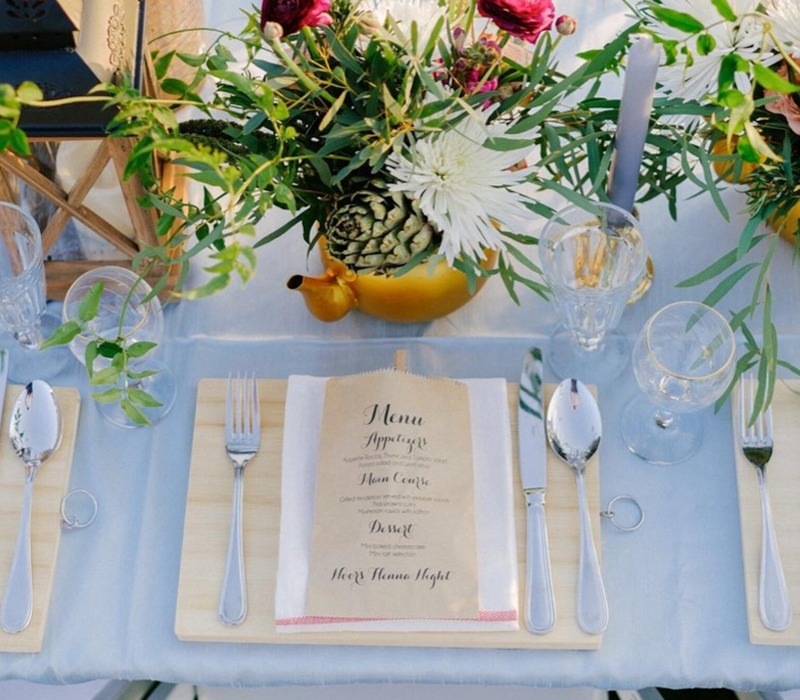 For formal or special occasions, begin by adding elegant drinking glasses, flatware, napkins and some beautifully designed name cards, which are a lovely touch. 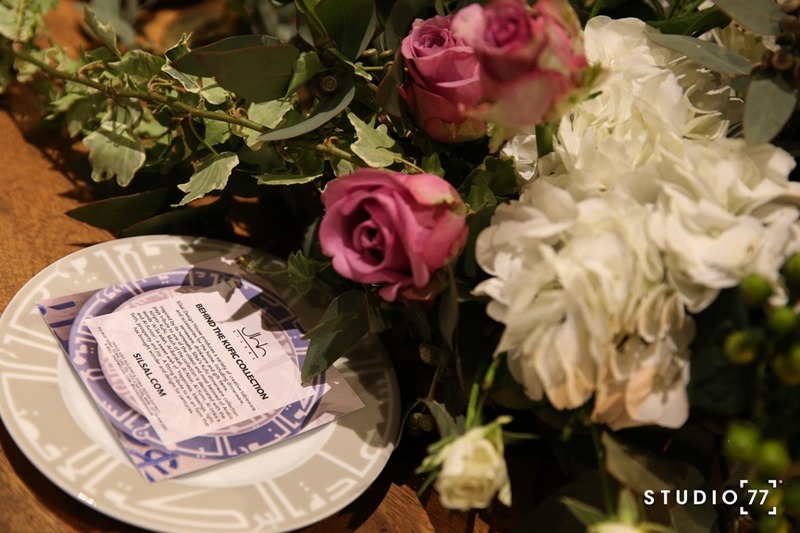 Once your place settings are designed, compliment them with some crystal vases and, of course, lots of fresh flowers. Then, you can arrange shared food on matching platters to create an effortlessly coordinated look. As the famous quote goes, “You eat with your eyes first” – therefore, beautifully garnished food, pretty appetizers and overall presentation are key to achieving a perfectly set table for formal occasions. Again, we would start by using Silsal’s Kufic plates, because they are so versatile! 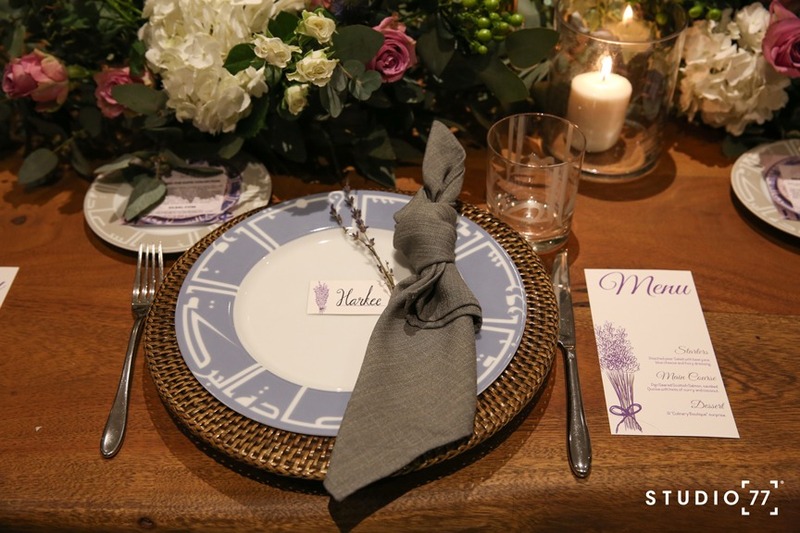 For a more relaxed affair, we would team the plates with cotton napkins and table linens – perfect for warm summer days. We also recommend substituting flowers for greenery or herbs for a more relaxed look – plus they survive better in the heat. Rather than crystal vases, porcelain vessels work well for more casual occasions. It is important to coordinate your flowers with the overall style and theme of your event. 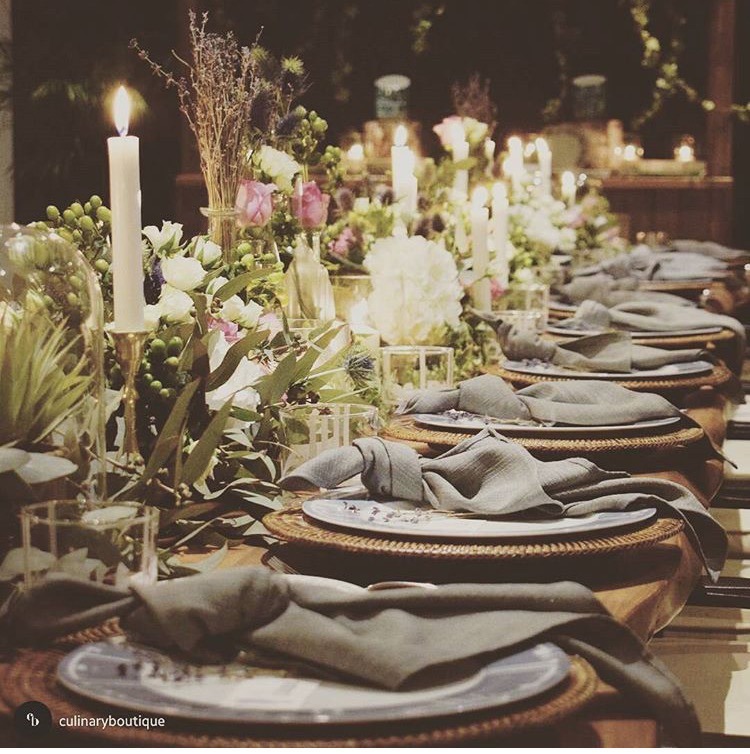 Personally, my favorite centerpieces change on a regular basis, and I love to experiment with different colors and looks, based on availability and the occasion. As for floral trends, they are very dynamic and change throughout the year, but this summer there are some trends that really stand out. 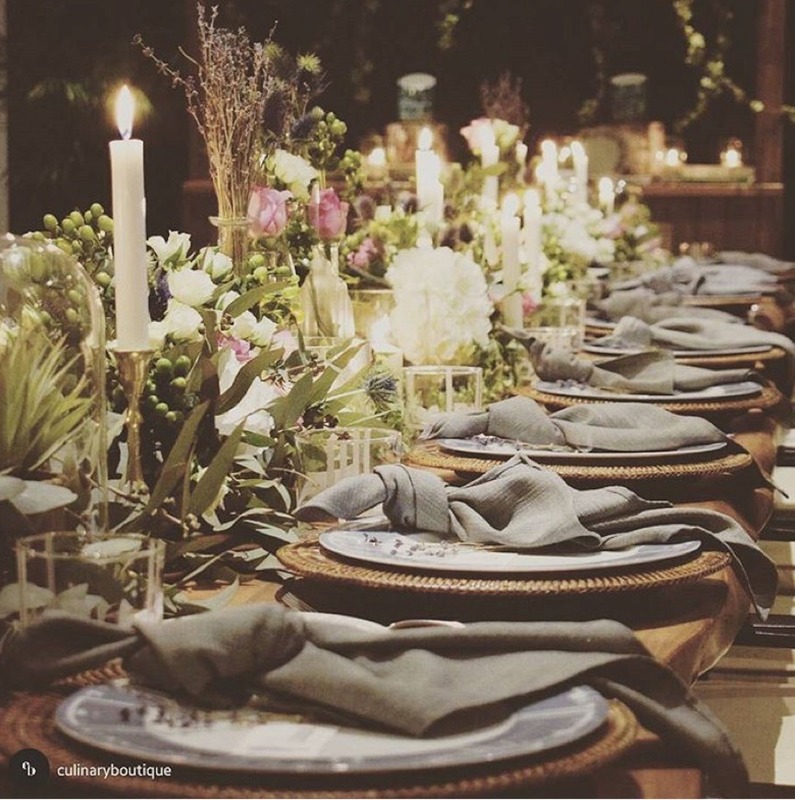 Muted tones and dusty colored flowers such as the Dusty Rose, Dahlias and Peonies. Grey palettes are super on trend at the moment. 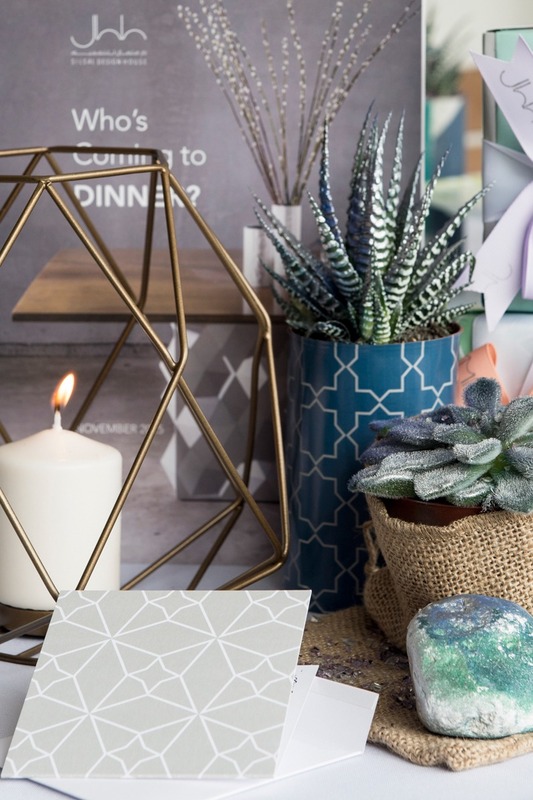 Use succulents with Dusty Miller, Eucalyptus and Olive braches for an organic and neutral look. Tropical flowers are big at the moment, and always make a style statement that is perfect for summer! Green centerpieces are simple, but elegant. Arrange foliage like Sprengeri, Ivy, Myrtle and Ruscus for a look that is laid-back but packs a stylish punch. Summer is the season to trade in the pastel colors for more vibrant shades of blue, pink, yellow and orange. As long as your hues match, you have the luxury of playing around with a more fun palette. Another chic option would be to mix several shades of the same color; for example, pair soft blush tones with some vibrant shades berry colors. 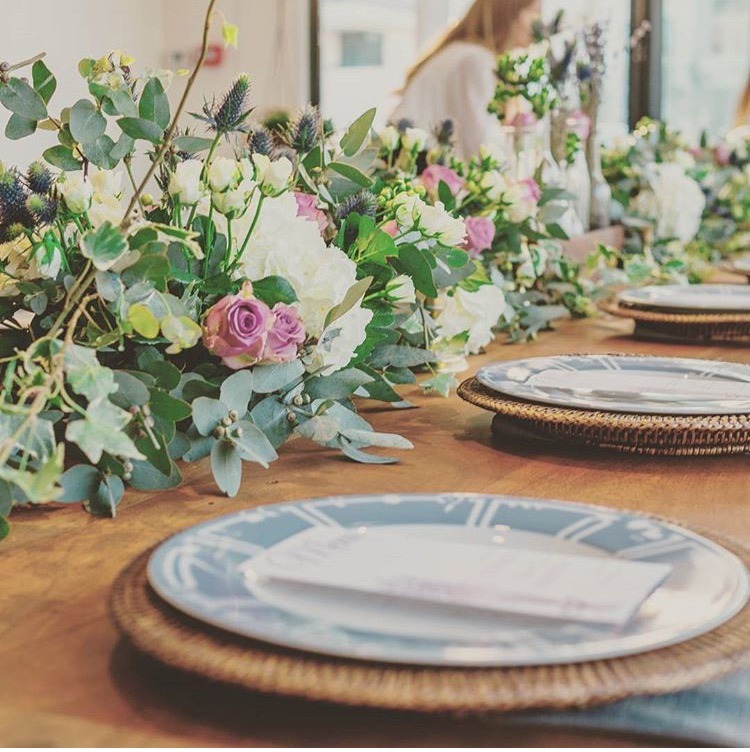 Make sure you carry your colour scheme through the entire day, starting with invites, to décor and, of course, your table. A classy bohemian look can be achieved by mixing the latest, on-trend items with classic pieces that never go out of style. Constantly evolving, the bohemian aesthetic changes each year. For example, 2016 saw the use of Mediterranean and Moroccan inspired elements. Patterns and colors were mixed and matched and accessories like rugs, ottomans and pouffs were popular. Now, summer 2017 has shifted slightly and people are using more muted tones, mixed with interesting metallics and tropical flowers. 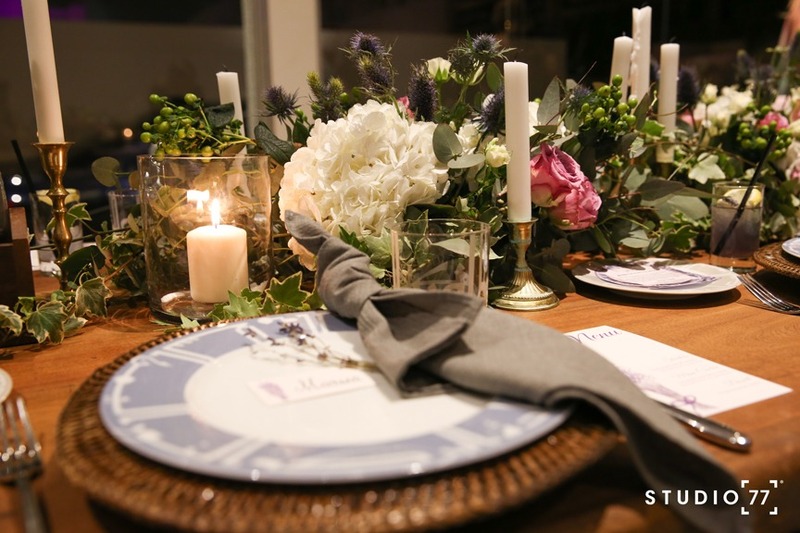 If you don’t want to use flowers, succulents are a gorgeous way to add some greenery to your table. Make sure you mix and match them – they come in many different shapes and sizes and look best when combined. If you’re planning a casual event, leave them in terracotta pots, but if you’re after a more elegant aesthetic, transfer them to sleek white pots. Candles are another gorgeous option for non-floral centerpieces. They work well with all settings and themes. 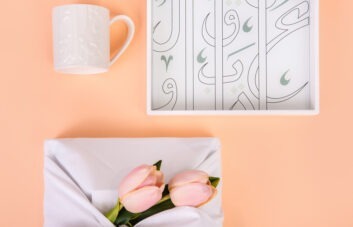 Curate vintage style tapers of varying heights in a tray to create a unique look. Alternatively, house pillar candles in hurricane vases for a dreamy effect with minimal effort! Silsal Gossip: An interview with Table For Five’s Fathima Mansoor. 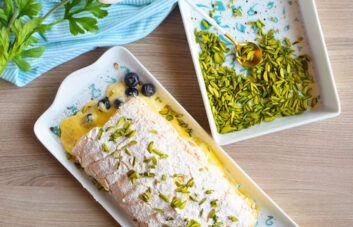 Silsal’s Mother’s Day Miracle: Who needs conventional gift-wrapping when you have Maska Wraps?